Marina services include twelve moorings nestled beside Baddeck’s famous Kidston Island lighthouse, sixteen berths on our floating dock in the heart of the village, shore power up to 50 amps, water, sewage pumpout, gas and diesel fuel, 24-hour washroom and shower facilities, and a coin-operated laundromat. We also operate a water taxi during store hours (8 am to 8 pm) to transport guests to their moorings – we will even pick you up at your anchorage, for a small fee! Our guest services are impeccable – we love to make you feel welcome! 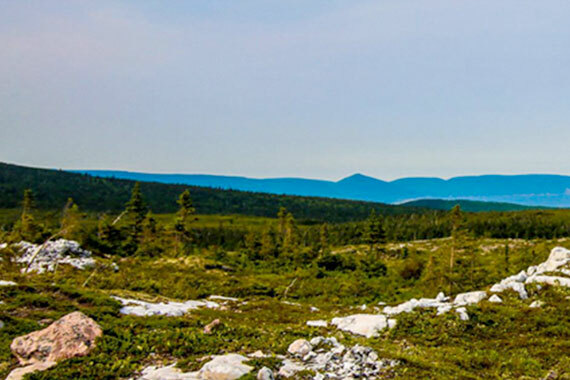 We will help you plan your visit to Baddeck and Cape Breton Island, answering any questions you may have, providing maps and brochures. Local transportation can be arranged. Yacht maintenance services include repair of engines (Mercury, Volvo-Penta, and Yanmar), sanitation and plumbing maintenance and service, sanding, painting, Awl-Grip yacht refinishing, and Gelcoat, as well as pressure washing and anti-fouling preparation. We are happy to supply quotes on any job you need, including all insurance repairs. We employ ABYC certified mechanics and our technicians, all together, have over 80 years of experience in the marine industry. Local contractors are available for services such as sail repair, injector maintenance, refrigeration, and electronics. Couriers stop at our store five days a week so we have quick access to the regions’ wide variety of marine suppliers and servicers, if need be. We also provide launch and haul-out services, mast stepping and unstepping, boom installation and rigging setting, winterization and spring preparation, shrink-wrapping, outboard engine and trailer storage, as well as outdoor winter storage for your sailboat or powerboat. 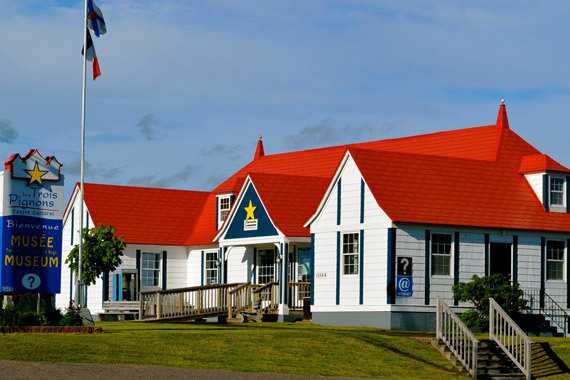 We are the perfect stopover for your boat on your way to or from Newfoundland, St. Pierre and Miquelon, a pan-Atlantic cruise or on the Down-East Circle Route. Our marine store carries a wide variety of items: sailing apparel by Gill and Helly Hansen, Harken and Viking – from boots and deck shoes to dinghy trousers and coastal jackets, hats and visors, light shell jackets and vests, and more! We also carry Mercury lubricants, engine parts and accessories, rigging such as blocks, shackles, and pins, rope for your lines and sheets, charts of the Bras d’Or Lakes and the Maritimes, painting and varnishing supplies, teak and rail parts, safety items such as flares, flags, lifejackets and first aid kits, plumbing fittings, fenders, boat stands, anchors, nautical gift items, and more. We are also suppliers for Stright-MacKay, Mermaid Marine and Transat-Western, so we can bring in any of their catalogue items quickly. 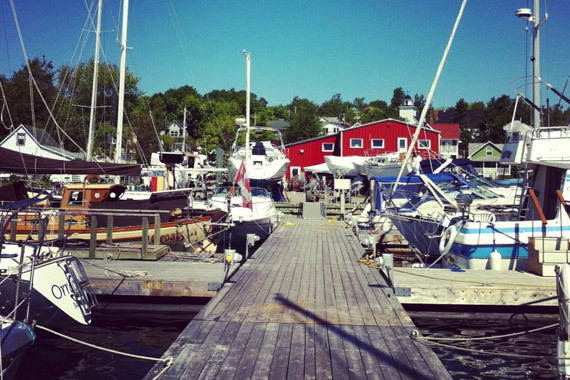 Baddeck Harbour is home to the annual Bras d’Or Yacht Club Regatta, held on the first week in August. Witness and take part in exciting races, then meet other sailors and enjoy the musical entertainment all evening, all week long. The busiest week in Baddeck’s summer is best enjoyed from Baddeck Marine’s docks and moorings, especially the sailpast, when all the boats participating in the regatta – including Baddeck’s popular touring sailboat Amoeba - sail through the harbour with flags flying! 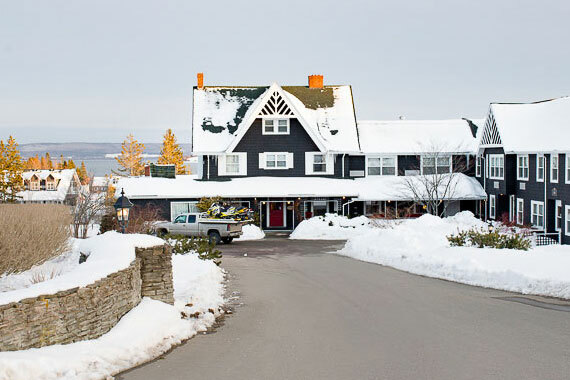 We look forward to meeting you and welcoming you to our corner of the sailing world, a charming small village on the beautiful Bras d’Or Lakes, home to some of the best sailing and boating – in the world.